On a cold winter’s day in Germany we left Berlin behind and flew to Marrakesh. We spent 10 days exploring the country, its capital city and the coastline. Marrakesh is insanely beautiful in the little things - the plants, the smell of herbs and spices, the colorful walls, carpets and overall fabrics. The Garden Majorelle is a botanical garden created in 1923 by artist Jacques Majorelle. In the 1980’s Yves Saint Laurent bought the garden and restored it and made it open to public again. I loved strolling around in the garden, resting in the palm tree shaped shadows and getting lost in the two and a half acre big garden. It’s a quite paradise in the rather busy and loud city of Marrakesh. After spending a few good days in Marrakesh we were curious to see this land’s natural beauty. We drove across the Atlas Mountains, passed old Berber villages as seen below and drove miles and miles through deserted areas. The Dadès Gorges in the Atlas Mountains are a number of rugged gorges formed by the river Dadès. 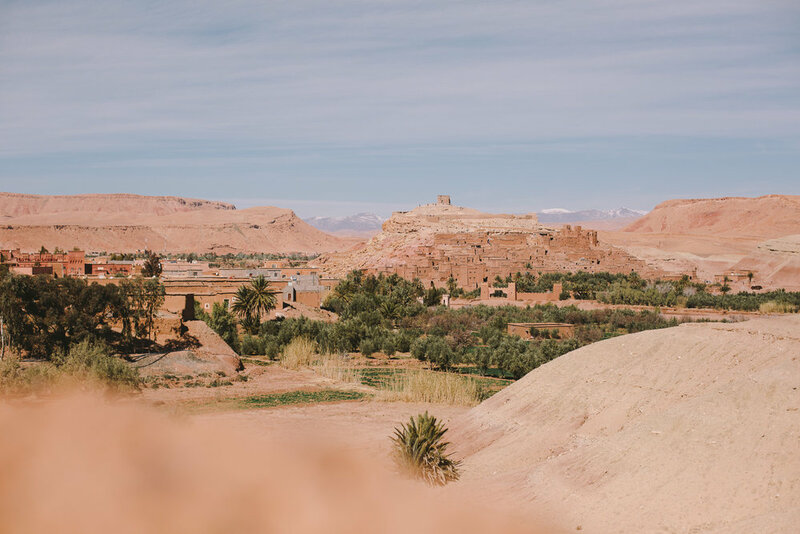 Our local guide, who named himself “crazy driver” showed us around and stopped and the obvious and the hidden gems of this spectacular landscape in Central Morocco. On the back of the camel we set out for a berber camp in the desert. In the evening we chat over a traditional tajine. There is a subtle smell of fish and salty water in the air. With a fresh breeze coming from the ocean constantly, Essaouira is the perfect city to calm to, stroll through the alleys and markets and go for a walk at the beach.